Two experienced CrestClean business owners in Wellington have risen through the ranks to take up senior training roles. 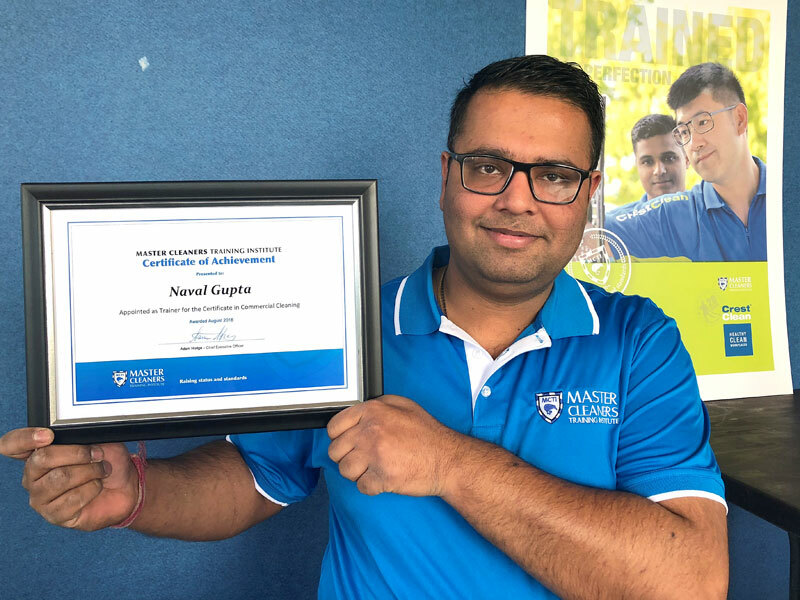 Naval Gupta and Naseem Shariff have been appointed as Regional Trainers for Master Cleaners Training Institute (MCTI) in Wellington and Hutt Valley. But before being selected the pair had to meet strict criteria to be eligible, says Adam Hodge, the institute’s CEO. “They needed to have been providing quality work for their own customers and running their business successfully. Naseem also has a “roving” role, visiting CrestClean regions in the lower half of the North Island, including Palmerston North, Kapiti Coast, and Taranaki. 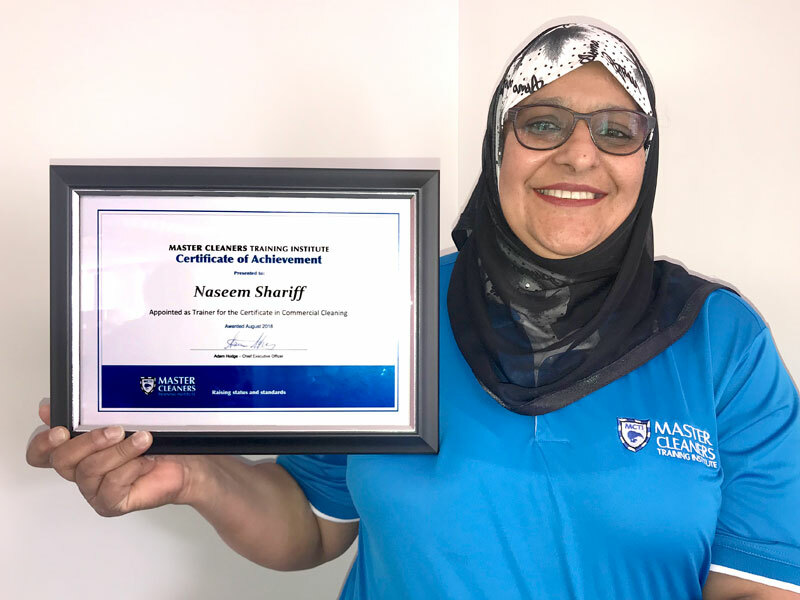 But as well as delivering the MCTI Module 1 training programme, Naseem has additional responsibilities as an assessor for the training organisation. Franchisees are evaluated while demonstrating their competency to carry out core skills covered in their training assignments, leading to the MCTI Certificate in Commercial Cleaning. Being involved in training is not new to Naseem, who is an experienced educator. She specialises in teaching children and adults with learning disabilities and is still actively involved in the education sector. “I enjoy meeting other franchisees and it’s always interesting to hear about the problems they might be facing,” says Naseem. Naval has a day job in a management position at a Countdown supermarket, a role that involves training new team members. Adam says he values the knowledge and approach that people such as Naseem and Naval bring to Master Cleaners from their experience of working in other industries and professions. Zainab Ali, CrestClean’s Greater Wellington Regional Manager, says the new trainers will be a boost to her teams. Naseem’s wide experience from working in the education sector is invaluable, says Zainab. Zainab praised Naval’s people skills and says he’s a good communicator. “He is a great asset to our region and franchisees have found him very helpful and approachable. Naval says he thoroughly enjoys his new role and loves being involved in training. “At the end of the day there’s only one way to succeed and that’s having people who are well trained. “I was pleased to get the opportunity from Zainab and Adam to do this role,” added Naval, who says he gets a real buzz from passing on his knowledge and experience to CrestClean business owners.